The common question that most natural hair beauties keep asking is, "Can I dye my hair? And with what?" Most are perplexed as to what is available out there to use especially since many look to natural alternatives for haircare. When I was a permie, I think the first time I dyed my hair was when I was 15-16 years old. I've probably dyed my hair 10-12 times in my life. Anywhere from chestnut brown to jet black- but always staying within color families that were in my natural color range most times (I'm naturally auburn-brown with golden highlights). Only once I bleach blond streaked my hair. Now you know as a permie or if you were formerly a permie, you really needed to take care of your delicate hair. You almost need permission from the relaxer goddess to dye your hair and pray that your hair didn't/doesn't react badly. Then it was the extra love and care to make sure your hair didn't/doesn't break off! ANY GIRLS NIGHTMARE. So for those of us that are natural (or those just looking for an alternative) what's out there? First and foremost make sure your hair is in tip-top shape-PERIOD! To know your hair is to LOVE it. Why damage your hair further by dyeing it if your hair isn't in great condition? It will only make it look worse and perhaps break your hair off in large chunks. If you prefer "long hair don't care," I would advise you pamper your hair for several months before dyeing it. Most would agree if you want great results and in depth product knowledge- visit your stylist or hair salon for a consultation. In any case, your hair will STILL need to be in good condition before a stylist will even consider coloring your tresses. They certainly don't want to be liable for your sudden need to look different and have disastrous results. You also need to find out what your hair's porosity is. 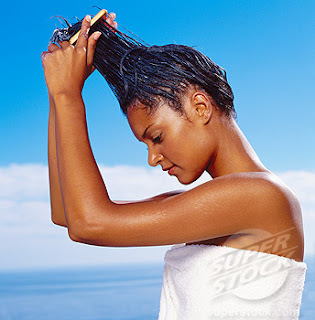 Strand test your hair by sectioning off a small portion and wetting it (use a spray bottle or run it under water). Ideally you would want to do this when you hair is free of products. Note how long it takes for your hair to absorb the water. If your hair saturates quickly, you have very porous hair. If your hair takes forever to absorb the water your hair is less porous. Allow for it to air dry and note how long it take for it to dry. Hair with high porosity will dry very quickly. Low porosity hair will take forever to dry. Take a few strands of hair from your comb or hair brush and place in a bowl of water. Watch to see if it will sink or swim. Sinkers (within a minute or so) are very porous. 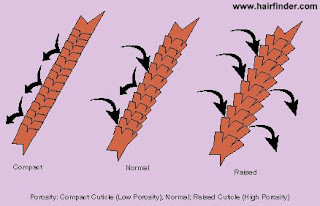 Swimmers have low porosity and if half sinks and the other swims you have a slight porosity problem. Now if you're using a shampoo that contains any of the aforementioned and it's working wonders for your hair by all means continue to pledge your allegiance to it. I'll be the first to admit some of them work miracles on my hair but it's strictly a personal decision on whether you choose to continue to use depending on the condition and state of your hair. Tini Tidbit #1- Stay reasonable when coloring your hair. Don't think blonde on Amber Rose would look great on you, you do it and it looks horrible. Stay in your lane. Use your natural color as a base to go lighter or dark in the same color family. Making a mistake with color is often hard to correct and can further damage your hair resulting in having to sometimes cut all off especially if you've made a drastic color change. My personal preference when coloring my hair is L'Oreal Feria. I've used Starry Night (being the darkest), Chocolate Cherry, Havana Brown (the lightest)- to name a few. Now that my hair is natural I am trying to find alternatives to color my hair. Since I've gone natural I haven't purposely colored my hair. If noticed I put emphasis on "purposely" which leads us to the first alternative to coloring your hair- Henna. (Natural) Henna- Henna, lawsonia inermis, is a plant. It is a large bush, or small tree, that grows in hot, dry climates. Leaves are harvested, dried, and powdered. When mixed with a mildly acidic liquid, henna will stain skin, hair, and fingernails reddish-orange. Body-Quality henna is the best for coloring hair. It contains potent, high concentrations of Lawsone. The molecules in pure Henna bind with the keratin in your hair making it thicker and stronger. If you relax your hair you can use Henna for your hair. Henna from Indus Bhera and Mailsi regions work best for your hair. Henna actually has another great aspect- it strengthens your hair. Think of it as a great deep conditioner you apply once a month. I use Henna from www.mehandi.com (BEST Henna I've used thus far) Relatively inexpensive it's probably one of the best ways to color and condition your hair. Compound Henna- Lower grade Henna is taken and combined with toxic metallic salts, chemical dyes, etc to create "colors." These salts can reek havoc on hair that is bleached and permanently dyed hair. It can fry your hair- even turning it green! STAY AWAY from these types of Henna products. Using commercial brands like L'Oreal, Revlon, etc would be better than using this! This brand also has no ammonia and parabens. Uses rosemary, cinchona and walnut husk, to gently deposit color, achieving a natural, vibrant result for your hair. 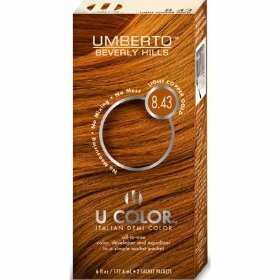 Lightens hair up to two shades and is permanent. Retails for about $17. 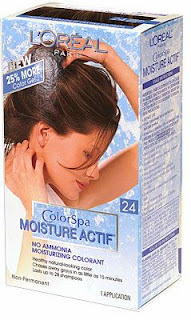 This contains no or low ammonia and is demi-permanent. One step application makes this virtually fool proof. Contains permanent pigments that give long lasting color. Retails for $12. No ammonia, parabens. Permanent color. Can lighten up to 2 shades at a time. Enriched with Soya, Corn, Coconut and Wheat Extracts. Retails for about $13. Non-Permenant- Temporary color. More than likely you're using a rinse that will wash out in 3-4 shampoos. Color coats the cuticle. 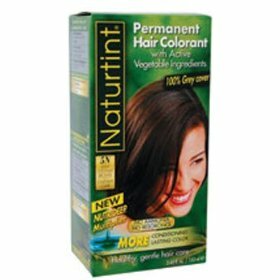 Semi-Permanent- Frequently used to enrich or enhance your natural color, semi-permanent coloring deposits color only. Works best for those who want a moderate change in color intensity. Penetrates into the cuticle, 2nd layer of hair. Demi-Permanent- Color is a longer lasting for those who want the benefits of semi-permanent color like enhancing tone and blending. Can also brighten your hair lighter than your regular shade with demi-permanent color. Deposits color between cuticle and cortex. 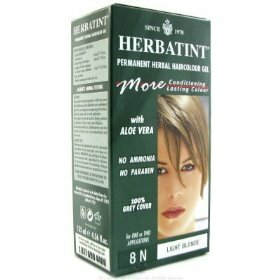 Permenant- Choice most often used when coloring hair. Gives you 100% coverage and is the most dramatic. Hair cuticle is opened and color is deposited in the cortex. There are several more options in natural/alternative hair color. As you can see you do have options! You can still change up your hair without too much of a hassle. Make sure you use shampoo and conditioner that is designed to compliment your coloring to keep it fresh and conditioned like Pureology (which I'm posting a review soon!) Be sure to chose the correct permanency so that you don't stress out your hair by constantly changing your color. If you find a color that is complimenting-stick to it!